This content is provided by Richard Roberts. Rick Roberts is one of the nation’s leading energy litigators, having won more than $5 billion dollars in settlements and several billion dollars more in litigation awards for his clients. He has tried numerous cases before Federal Energy Regulatory Commission (FERC) and federal district courts and has won appeals before multiple circuits of the US Courts of Appeals. 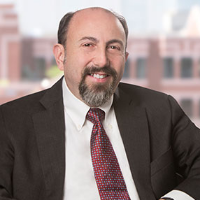 He also counsels clients concerning all facets of federal energy regulation and antitrust, and defends clients in government enforcement proceedings. In addition, Rick serves as the chair of Steptoe’s electric power practice.